DISCO. MADE IN LOS ANGELES. Luxxury makes dance music for adults. Raw, funky bass-lines plucked with grown-man finesse. A mastery of space disco native only to those who lived through the late '70s/early '80s. Dust in the glitter that vibrates in the space between string stabs, bongo slaps, and guitar jabs—while the steady pulse and astral effects feel beamed in from a more cybernetic future Los Angeles. That's where the nu-disco wizard born Blake Robin dwells when he isn't on the road opening for Giorgio Moroder or the Juan MacLean, leading his 4 piece band on late-night TV or remixing live at DJ sets in Mexico City, New York and London. 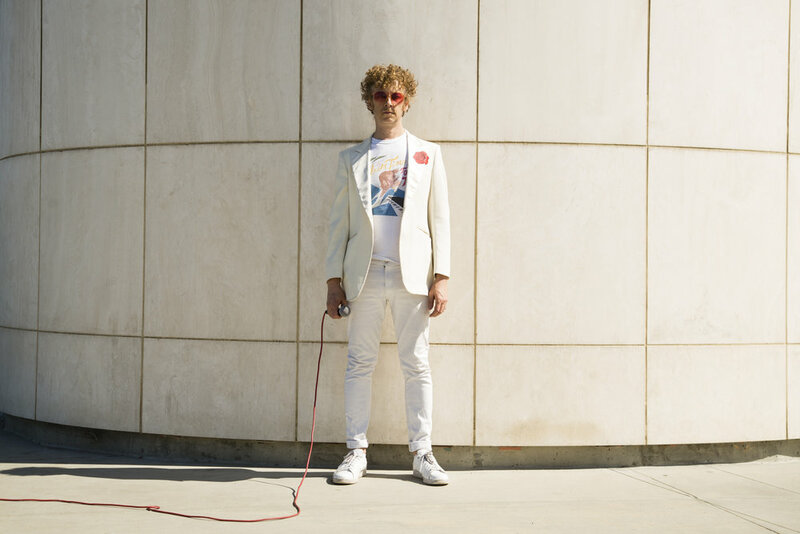 In fact, you might've first felt his deft touch via the controversial Luxxury Edits—where he uses multi-tracks (stems) of classic hits to create dubby slow-disco versions—but his original music is no less arresting, with a sound that reflects not only a newfound earnestness of expression but a lifelong love for the craft of disco.